Features & Requirements Management in Software Development. It’s always a great thing if you can use your own product to organize your everyday work. That is what we actually do at Comindware. 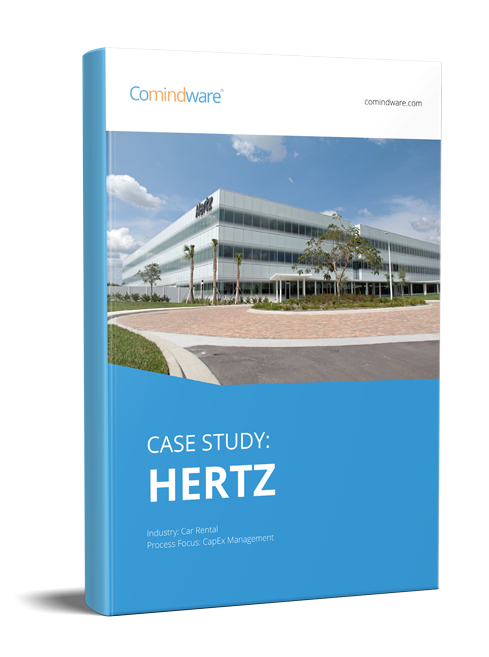 We use Comindware Tracker to track product features in our Product Management department. More details on that below. We use a custom version of Scrum framework for managing product development combined with Goal Directed Design Process for gathering product requirements. Goal Directed Design Process is based on Personas and different types of scenarios and it’s very useful to keep all that in Comindware Tracker. Features are linked to scenarios, which in turn refer to Personas so it’s always easy to track who wants the feature and why. This helps prioritize features in Backlog and plan a perfect set of features for the upcoming software release. We are using the workflow mechanism to define the sequence of tasks that should be completed in order to drive every feature from the stage of an idea all the way into a complete product. Thus, for example, after product manager approves the implementation of the feature, Comindware Tracker will automatically generate a task to check localization and assign it to the technical writer. We collaborate on features using comments. Everyone who is following a feature item will receive an email notification when a new comment is added. If we want to engage someone who is not following a feature in the discussion we just add him/her to its followers. This way we make sure everything is on track and that the next release will be on time and with the right feature scope. You can group completed tasks by date so it’s easy to review who has done what on daily scrum meetings or generate a similar report for the end of the week summary. Comindware Tracker allows us to track product requirements and features in a transparent and manageable way, from idea to implementation. You can do it the same way in your company too. Comindware Tracker is shipped with predefined solution for Software Development. You can use templates that come with our solution, customize them to align to your company processes, or design your own ones. Then choose who will participate in the workflow and modify the group and template settings accordingly. After that, when someone is done with his task, next task will be created automatically according to rules specified in each workflow step. You can easily change templates by customizing workflows and forms. Add custom steps or fields you need. Track implementation progress with customizable widgets. They will let you monitor the amount of features done in current sprint, planned vs. actual development efforts and other metrics. You can also use our expression language to set up custom metrics you want to track. The best thing about Comindware Tracker is that it can be customized for any methodology of your choice. And the best thing is that it can evolve together with your company processes. Dmitry Maximov is a Product Manager for Comindware, he is responsible for gathering requirements and developing specifications for Comindware products. He has strong interest in combining Human Centered Design and Agile Practices for developing products that are powerfull and easy to use. Dmitry has a Masters Degree from Highier School of Economics in Moscow.